I was lamenting on Saturday, as I so often do these days, the complete uselessness of the current British Government in its negotiations over Brexit (a view shared by Leavers and Remainers alike), when I read an entertaining article about President Trump and Mar-a-Lago, his adored Florida estate. Bought in the mid-1980s for $7m, it is now valued at $300m. Despised by the snooty Palm Beach elite, Trump ran into planning difficulties, which he approached with his customary subtlety. “He threatened. He fumed. He boasted. He verbally assaulted his enemies. He never took a backward step. And he never gave in even on the tiniest point, even when he was spectacularly wrong,” wrote journalist Laurence Leamer. It was a description that brought to mind the way in which Gerry Adams and Ian Paisley approached negotiations with London – one that led in time to their triumphant near-destruction of moderate unionism and nationalism at St Andrews. The problem for British negotiators, especially under New Labour, was that culturally the English (who dominate) try to see the other chap’s point of view, are wedded to compromise, are embarrassed by passion and hate being shouted at. And in the case of Sinn Fein, of course, they also wanted to stop any more IRA bombs going off in British cities, and bent over backwards to sympathise with their distorted but coherent republican narrative of victimhood. Adams and company, who had been indoctrinated with a belief in the ruthlessness of Perfidious Albion, couldn’t believe their luck, and privately referred to Tony Blair as the “naive idiot”. When in 2005 Paisley supplanted as leader of unionism David Trimble – who with no DUP support had had to fight his corner against a pan-nationalist front – he managed to extract further concessions by matching Sinn Fein in loudness and intransigence. However, unlike Sinn Fein, who always studied the small print and believed in never giving a sucker an even break, the DUP disgracefully let through concessions over, for instance, legacy issues, that now haunt the security forces and all the innocent victims of the Troubles. On Brexit, Sinn Fein is happily back as part of a pan-nationalist alliance, and through diligence and ruthless manipulation has got many in the EU to believe its propaganda about the threat to peace posed by any change to the status quo. Unionists, as usual, have been divided, and there was no one in government much interested in hearing them until Mrs May’s disastrous election in 2017 gave them a golden opportunity. 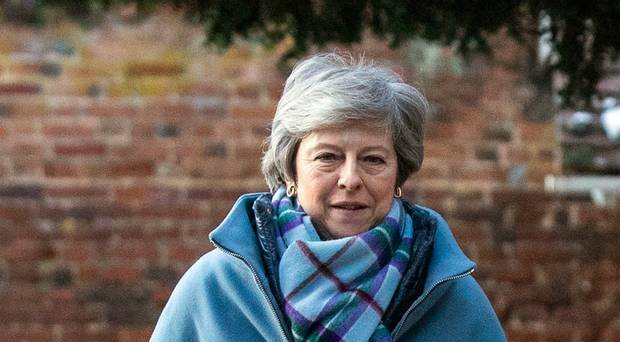 It is to their credit that they have grasped it with both hands and that, unlike all too many moderate and well-meaning unionists, they saw that the backstop was potentially a disaster for the unity of the United Kingdom and were prepared to incur massive unpopularity by fighting it head-on. And at last there is a sense that unionism is coming together. Dublin and Brussels based their insistence on a backstop on their commitment to preserving the integrity of the Good Friday Agreement, something that has been challenged repeatedly as bogus by Trimble. Then, last week, Paul Bew, who was close to Trimble during the Belfast Agreement negotiations and is now a highly-respected crossbencher in the House of Lords, produced a devastating argument showing how, on the contrary, the backstop drives a coach and horses through the Belfast Agreement. In a crucial Commons debate, Nigel Dodds ran with this ball with clarity designed to stiffen the Government’s back. It was time, he said, for parliamentarians to “achieve something people have said is not possible: we can get this deal sorted out for the good of all our country”. Anyone who cares about a Brexit that works should be applauding. Why are we so indifferent to attempts all over the world to wipe out Christianity? The British Commonwealth changed – so why can’t we? Enter your email address to subscribe to my site and receive notifications of new articles by email.